Super Bright spotlight with stake. 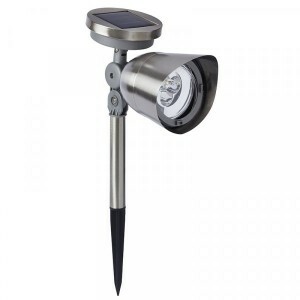 The directional light is easy to adjust and has up to 6 hours run time. The mega spotlight is 10 Lumens bright and features 3 white LEDs per spotlight. 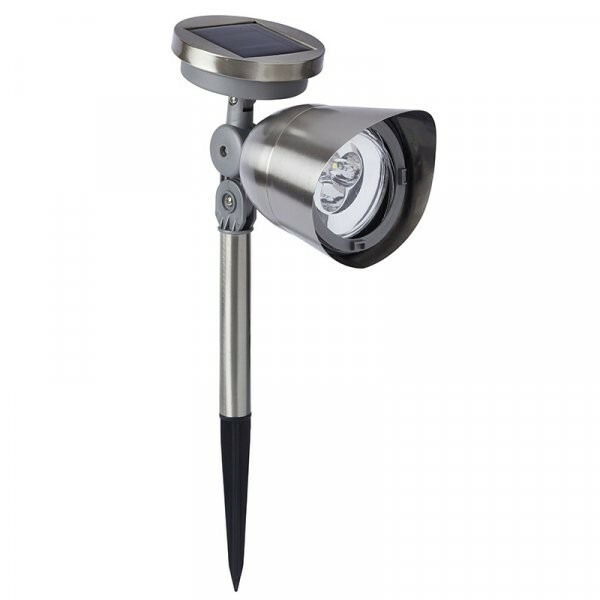 The product charges in direct sunlight and automatically turns on at night.